California Dawn - We're Back! The California Dawn is back in action. Yesterday we fished for Sturgeon. Captain Smith said, "We had one 42 pounder." Today we are back on the spot and we caught one oversized fish that was released back into the bay. We are still fishing. 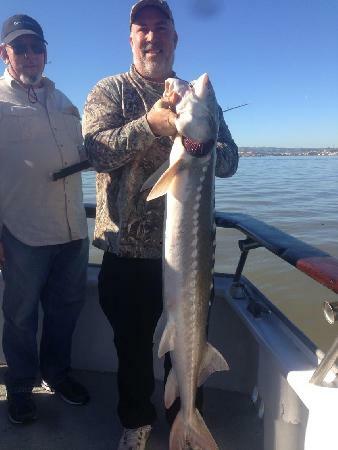 The Cal Dawn will be running Sturgeon trips if you are interested please call Captain James Smith at (510) 417-5557 to get in on the action.